Metrobus 13 travels between Kota Raya to USJ via Subang Parade. 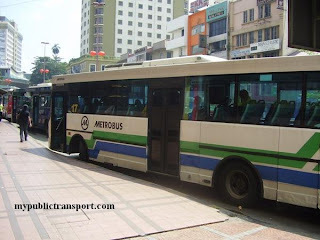 Metrobus 10 also goes to USJ. how much is d bus fares if i want 2 go Asia Jaya LRT Station from Sunway Pyramid?? thx! does metro 13 go to usj 11? Yes, it pass through certain part of USJ 11 by Persiaran Tujuan. which part of Usj 11 exactly? You need to get down at Persiaran Tujuan and walk to USJ 17. What time is for the last bus? How much from Petaling St. to Sunway Pyramid? The MyDin supermarket is pretty far away from USJ 1/1. RapidKL U63 and U67 both go to USJ 1/1 and Subang Mewah. hi,where to take metro bus 10 or 13 in subang parade if i want to go to kota raya? You can get to the bus outside Subang Parade and Carrefour. I want to reach Kota Raya before 8.30am on Saturdays. Travel from USJ 14 Court 7. RapidKL U63 and Metro 10 pass by, how regular are these buses? What is the recommended time to wait for the bus? Those bus come every 15-20 minutes. You are recommended to wait from 7.00am. This bus turn left to Leisure Commerce Square? Not really. You can just stop at LDP and walk to Leisre Commerce Square. 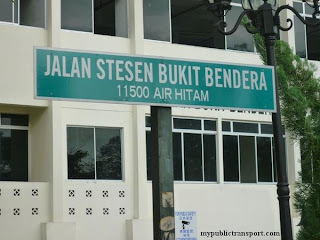 does this bus stop at usj 4, persiaran tujuan? thanks. does metro 13 or metro 10 passes subang parade and ss15 to go to sunway pyramid? Does metro bus no. 10 & 13 stops at both the front & opposite of Sunway Pyramid? How many bus stops from Midvalley to Mydin USJ 1 and how long is the travel duration? Thanks. You can use RapidKL U63 or Metrobus 10. It needs roughly 45 minutes of travel. Planning to go to Corporate Tower (CT) tomorrow via bus. Will the bus stop nearby Sime Darby Medical Centre? Or any other stops nearby CT? Also, where to wait for bus from there to KL? Yes you can just stop opposite to SDMC and walk to CT. You can choose RapidKL U62, U63, U76 or U623. When you want to back to KL, if you want to use U623, you can go back to the same place you get down. If you use U63 or U623, you need to go the other direction. 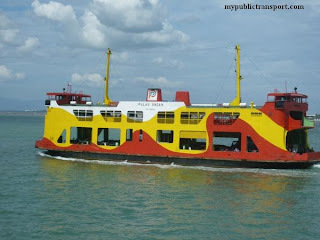 Hi beside u63 travel between summit and sunway pyramid? Is there any other bus that I can take? You can also use RapidKL T523 and Metrobus 10.
so how to go to usj4 or usj5 from ktm setia jaya? You can use RapidKL U67 or Metrobus 13 from Subang Jaya KTM to USJ4/5. Is there any bus from Summit USJ to Kelana Jaya in a single ride? Besides taking 2 RapidKL buses T523 and U623. Pls and tq. No. You need to change bus. hi, which side do i need to wait for the bus at usj taipan to get to pasar seni? You can wait opposite to the USJ8 Police station, just outside of USJ 9 Mosque. No. The nearest is to USJ 14, then you need to walk about 2km to UEP. Is there any bus frm subang mewah to lrt kelana jaya? You can use RapidKL U63 to Asia Jaya (federal Highway), then walk to Asia Jaya LRT Station. Which bus should I take if I want to go from USJ 3 to Sunway Pyramid? How often does the bus pass through? You can use RapidKL U67 or Metrobus 13 from Persiaran Tujuan to Sunway Pyramid. are there buses going through usj 21/22/23? The bus does not go into USJ 21/22/23, you need to stop near USJ14 and walk or use Taxi to USJ21/22/13. 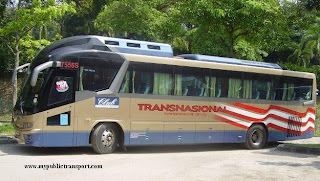 Whch bus I should take if I from USJ 9 to Komute subang? which will as arrive USJ mydin ? from kota raya or from kelana jaya? You can use RapidKL U63 or Metrobus 10 from town to USJ Mydin. If you come from Kelana Jaya LRT Station, please use U623 to Sunway Pyramid, then only change to U63/10. if from mydin USJ wanted to go to Asia Jaya LRT , which bus should i need to take? You can use RapidkL U63/Metrobus 10 from Mydin to Asia Jaya (Federal Highway), then walk to Asia Jaya LRT Station. how to go to the AsiaJaya LRT by rapid//metrobus from Mydin USJ ..
bcz i go mydin USJ , the bus gt go through QI tower bus stop..
1) Can I know except U63 and Metro 13, what else buses I can take if I wan to go Segi College Subang Jaya from Kota raya/Pasar Seni. 2) If I going to have 9am class, what time I should out to avoid traffic jam and getting late. How many min/hours to estimate the bus journey. 3) In the opposite round, where should I wait for the bus return to Kota Raya/Pasar Seni. I saw no any bus station in the opposite. Thanks for your information :) Appreciate your help. 1) You can only use RapidKL U63 and Metrobus 10. 2) If you starts from Pasar Seni, you need about 1 hour at least. 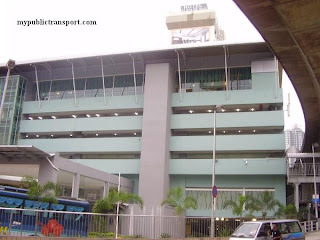 3) The bus stop is just opposite to Segi/Summit Hotel. You can use RapidkL U63. Hi, may I know if Metro bus #10 and #13 will stop at The Summit USJ? And a y rapidkl buses that stop there too? Thanks! Hi, you can use RapidKL U63 or Metrobus 13. What time the last bus services from USJ to Kota Raya? Hi it is about 10.30pm. May i know how to go to Subang Parade from UM? Sorry I don;t know where to ask. Hi, you can take LRT from Universiti Station to Kelana Jaya station, then take RapidkL U623 to Subang Parade. Hi, how to go Taman jaya station from usj 2? Hi, you can take RapidkL U67 to Federal Highway, opposite to Taman Jaya Station. And how to go from usj2 to ss12? Is it back also take the same bus? 1) how regular are bus from KTM subang jaya to LRT asia jaya? Is it only Metro13? I'm working at DKSH and am not sure how to get there from klang by public transport. Hoping that you can suggest the fastest way to get there. Hi, you can take Metrobus or RapidkL U67, you can choose to stop near KWSP instead of Asia Jaya, because from KWSP you can take U85 or Metrobus 12 to DKSH. If you are from Klang, you should take Causeway Link 58k, Seranas 99 or Cityliner 710 to KWSP instead of going to Subang Jaya. May I know which bus stops in front of Avon/SsangYong? Thank you. Hi, which branch of Avon or Ssang Yong do you mean? and where are you from? At Seksyen 51a, along federal highway, from usj12. Hi, you can take RapidkL U67 and stop opposite to Ford Federal Highway. Hi, how do I get to SS15 from USJ19? Hi, you can take RapidkL U67 from Usj14 to SS15. may i know which bus can go subang ktm from jalan utara or jalan university,thanks. which bus can go subang ktm from jalan bukit 11/2 （ehsan ria condo）thanks. Hi, you can take RapidKL T629 to Asia Jaya LRT, then take LRT to Taman Bahagia. Last, take T626 to KDU Damansara. Hi, you can take RapidKL U88/ Metrobus 99 from Palm Spring to KDU. Hi, no, you can take express bus to Tasik Selatan, then take KTM to KL Sentral. From KL Sentral, take RapidKL U81 to Subang Airport. and also did many T629 pass by ehsan ria condo? Hi, you can take U88, U89, Metro 99 at Palm Spring. T629 comes every 30-45 minutes. 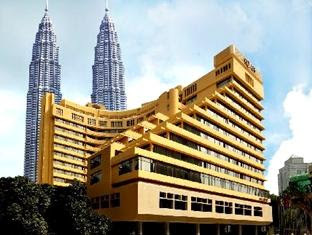 Hi, may I know how can I reach Leisure Square Commerce from PPUM? Hi, you can walk to Federal Highway and take RapidkL U63, U67, Metrobus 10, 13 to Leisure Square Commerce. Yes. You can take RapidKL U67 as well. May I know how to get to mydin subang jaya from putra lrt station? And how to go back to putra lrt station from mydin subang jaya? Hi, there is no more Putra LRT station. Unless you mean Putra KTM station. You can take LRT from Gombak LRT station to KL Sentral, then take RapidKL U63 to Mydin Subang Jaya. HI is there any bus from Mydin Hyper market to Taman desa or old klang road or KL sentral. Hi, you can take RapidKL U63 to Sunway Pyramid, then take U76 to Old Klang Road. Yes, you can take RapidkL T523. Hello, does Metro 13 stop at the bus stop opposite of Summit USJ/SEGi College Subang Jaya and go to KL Sentral in one trip? How much will it cost and duration of the travel time? Hi, you will need to take RapidKL U63, as MEtrobus 10 or 13 do not go to KL Sentral. It costs Rm1.90 and about 30-40 minutes. Thanks! But where does the bus stop in KL Sentral? In Brickfields? Hi, it is opposite to the Monorail station. hello, i am told for residence staying is usj 6 to get a bus that stops at subang parade/ktm komuter, they have to walk to opposite summit and take the rapid bus T523. 1. Is there another bus to take along usj 6 to go to subang parade / ktm komuter? 2. If there is, what time is the latest bus out from usj 6 to subang parade / ktm and how much will it cost? Hi, taking T523 opposite to Summit USJ is the best choice. You can also take U67 from Persiaran Tujuan but it may slightly further. The last bus for T523 and U67 is 11pm and it costs Rm1. Hai, how to go to shah alam ss26 from kl sentral ya? which bus do i have to take from ktm subang jaya to mydin hypermarket and from mydin hypermarket to ktm subang. Hi, you can take RapidKL T523, it comes every 40-45 minutes. i dont mind rapidkl or metrobus, chic bus i have to take from usj 11 to mydin usj and from mydin usj to usj 11 after my work.. and the time waiting for the bus is about how long? Hi, you need to walk to Summit USJ and take RapidkL U63 to USJ 11. It normally comes every 30-40 minutes. Which bus can I take from sunway pyramid to usj 11 ? Hi, you can take RapidKL U63 or U67. Hi, how do I go to Subang Parade from USJ17? Hi, you can walk to Persiaran Tujuan and take RapidKL U67 to Subang Parade. hi! how do i go to taman sri manja from summit usj? Hi, you can take RapidkL U63 or Metrobus 10 to Asia Jaya near Federal Highway, then cross over to Taman Jaya LRT Station and take T505 to Taman Sri Manja. Hi, you can take RapidKL T523, same as the way back, from Subang Jaya KTM. Hi, you can take RapidKL U623 from opposite of Subang Parade to Kelana Jaya LRT station, then take LRT to Asia Jaya. From Asia Jaya, you can take T628 or walk to Jaya 33. Does Metro 13 pass through Restoran Good Year or Mydin near Segi college? Hi. may i know from chow kit monorail, how to go USJ Taipan (True Fitness)? Hi, is there any bus or that go to tp6 industrial park subang? If i have to walk, what is the nearest bas to take? Metro or rapid? Hi, you can take RapidKL U67 to USJ 11 and then take taxi to TP6. It might be too far to walk(near to 2km). Hi! any bus from kota raya to USJ1 (Jati Apartment 2)? Hi, you can take Metrobus 10. 1. Take U63 or U67 or Metrobus 10, 13 from Federal Highway. 2. Similar to 1 but opposite direction. Where to wait @ Federal Highway? Hi, you can wait near Hilton Hotel. 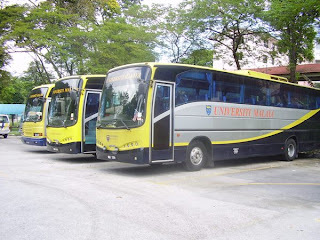 hi, what bus should i take to go to sunway lagoon from lrt university? Hi, you can take RapidKL U80, U81, U84 to bus stop at EPF, then take RapidKL U63, U67 or Metrobus 10,13 to Sunway Pyramid. Then you can walk to Sunway Lagoon. Hi, can I know where is college subbing? Hi, what bus should I take to Into college subang from Nadayu 28 apartment? and which nearest bus stop should i go? Hi, you can talk to NPE and take RapidkL U67 , U623, U76, or U62 to Persiaran Kemajuan and walk to Inti College. Thank you, but where is NPE and Persiaran Kemajuan are you talking about? Hi NPE is New Pantai Express way. You may need to get familiar with the road at Subang Jaya else it will be hard for you. 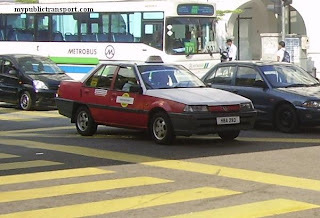 Hi, is Bus U67, Metrobus 13 and U63 stopping at opposite Standard Charted, USJ Taipan? Is this the correct route to Pasar Seni? Or shall I wait right in front of 99 SpeedMart to go to Pasar Seni? Hi,may i know how much is the fee if i take a bus from subang mewah to sunway pyramid. Hi, the fare is Rm1. may i know how to get to pangsapuri subang permai from subang parade? Hi, you can take RapidKL T523. sorry to ask again..how about U67? can i take from subang parade? and where should i get down?cause seem likes T523 too far for me to walk..thanks.. Yes you can, you can stop at Persiaran Subang Indah. Hi. 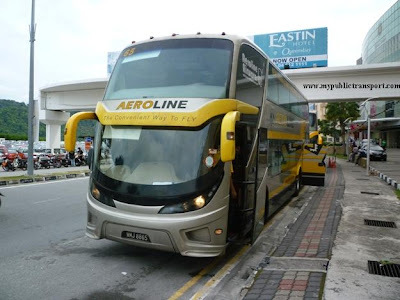 Is there any bus from usj 5 to straight to kerinchi LRT station? Hi, you can take RapidKL 771 from USJ 5 to Asia Jaya LRT (stop at federal highway and walk to the LRT station), then take LRT to Kerinchi. May I know how to get to Damansara Uptown from USJ 1 ? Hi, you can take RapidKL 770 to Asia Jaya near Federal Highway, then take RapidKL 780 to Damansara Uptown. RapidKL 770 is U63 Right ? If Damansara Uptown to USJ 1 also the same ? And where to wait ? Yes it is U63. The return journey is the same. You can take the bus near Mydin or Summit depending on which area of USJ 1 are you from. Can I know where they normally drop us if I take 780 to Asia Jaya ? They normally go to KL SENTRAL first then only they turn down or how ? For 780, if you're from Kota Damansara or SS2, it will go to Asia Jaya fist then only KL Sentral. 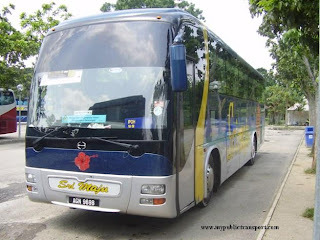 can I take metro bus 13 to wisma texchem at jakan subang 5 from sjmc ? it will stop at maju maju restaurant bus stop? 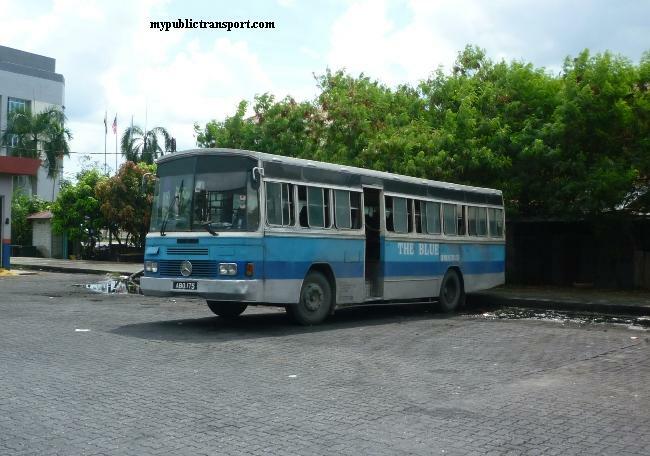 Hi, there is no more Metrobus 13 after the bus revamp. Please take RapidkL 771. You can stop at Goodyear Court 8. From pasar seni station, what bus that i can take to go to wisma texchem? The place the bus stop nearest. Hi, May i know how to get to puchong Taman Bukit Kuchai from USJ 7 by bus? 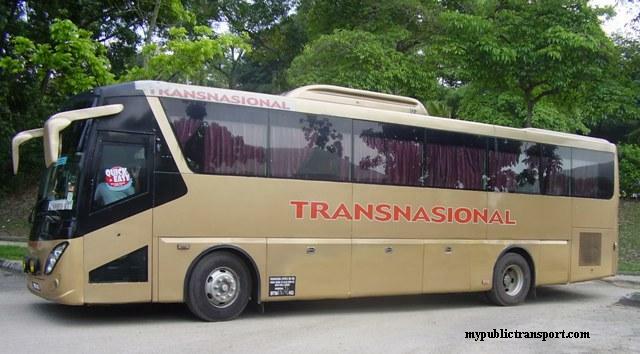 Hi, you can take 770 to Mid Valley, then take 600/601/602/603/604/671 to Taman Bukit Kuchai. Hi, you can take 772 to Asia Jaya federal Highway, then take 771 to Subang Parade. Hi, can i reach midvalley from usj14 via metrobus13? Hi, there is no more Metrobus 13. You can take RapidKL 770 or 771. 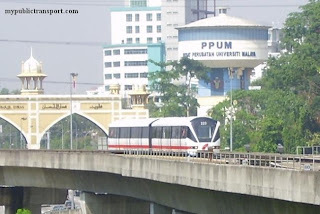 Hi may I know how to reach lrt universiti from mydin usj 1? 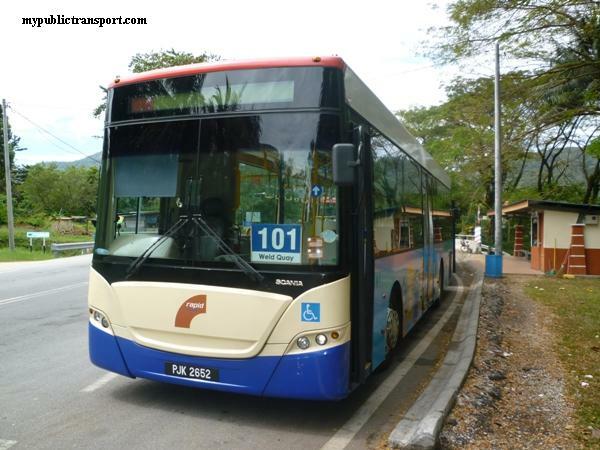 Hi, you can take RapidKL 770 to Mid Valley, then walk up to North Court and take T788 or T790 to Universiti LRT. Hello ,I would like to go subang parade to USJ 10 ? 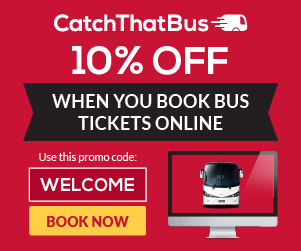 Can I take metro bus 10 ? Do I have any other choices ? Hi, there is no more Metrobus 10 after the bus revamp. You can take RapidKL 771. Hi, jika nak ke mydin usj dari kajang, kena naik bas no brapa dan bas apa? Hi, you need to take KTM to KL Sentral, then take RapidKL 770 to USJ Mydin. Hi, do Metrobus 10 and 13 stop at usj 12 to SS 15 Inti College ? there is no Metrobus 10 or 13 that go INTI ? There is no more Metrobus 10 and 13 after the bus revamp. How do I get to Asia Jaya LRT station from USJ 7 or Summit USJ? Hi, How do I get to Subang Parade from Asia Jaya LRT station? Hi, you can take RapidKL 771 from Federal Highway to Subang Parade, you can also take 783 from Kelana Jaya LRT to Subang Parade. hi, how do i get to mydin usj 1 from subang parade? Hi, you can take LRT from Subang Jaya to USJ 7, then walk to Mydin USJ 1. 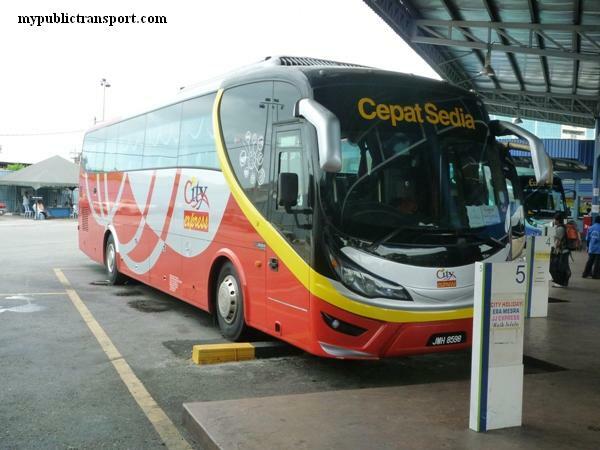 What is the bus number from putra perdana to cyberjaya? Hi, you can take 601 to Puchong Utama, then take 503 or 506 to Putrajaya, then take 520 to Cyberjaya.